The world is digital. Your beer isn’t. 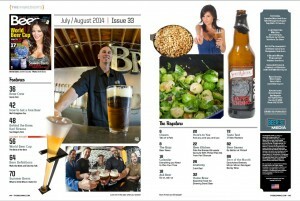 Beer Magazine is. Delivering you the most information, the most beer, the most everything packed into one small little file. Learn, laugh, get mad, put down Tinder for a minute and get more craft. It’s just $3.99…like happy hour forever. World Beer Cup – Not Soccer, but beers flopping for the win! How To Get A Free Beer – The jig is up! Karl Strauss Brewing – San Diego we love you. Summer Beers – Some obvious and not so obvious choices. Brew Crew – Why their model is awesome. 3 breweries in 1! Beer Definitions ¬¬– Be more learned. Ask Beer – Questions you asked! Here’s to you – You and your answers!